Organizations today challenge to maintain lean operations while meeting their needs for human capital. For customers who require staffing support, we are the premier source of customer service that aligned perfectly with the objectives of our customers’ business operations. Horizon Softech’s staffing and managed teams services can help customers augment their staff and manage IT projects at a clear cost target. Additional Staffing is a cost-effective approach to augment customers’ staff quickly with precise skills for a specified period. Horizon staffing services cover the full range of customer needs including temporary contract staff, temporary contract to direct-hire, and direct placement. Horizon Staffing Services, over the years, has earned a reputation for finding the precise match between its customers’ needs and its employees’ capabilities and career goals. To ensure resource quality, we conduct technical interviews and background checks on all candidates before we submit them to our clients. Horizon attributes quality delivered to the care it takes to understand customers’ business needs and its consultants’ skill sets and career goals. Horizon foster loyalty in its consultants based on people-oriented culture that allows providing the customer with people we know and respect. Finally, we are committed to finding you the talent you need, when you need it, through our dedicated efforts, such as professional networking, employee referrals, use of our advanced, web-based applicant tracking system. A scaleable team of recruiters, account managers and support staff to respond to the varying demands of our client’s mission critical projects. A professional and knowledgeable workforce in all areas of technical staffing, to the extent that any requirement can be digested easily. A series of effective steps ensuring the resources delivered with highest quality with minimized cost. 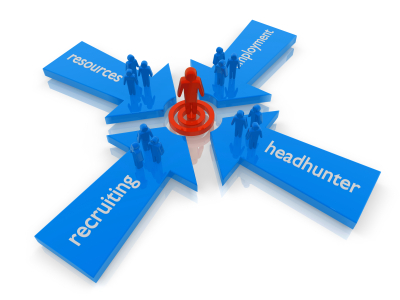 Increase recruiting efficiency and decrease overhead costs, and ultimately, improve customers’ business performance. Matching clients’ needs with consultants’ skills has been the cornerstone of Horizon’s success since inception. A quality culture has long been a part of our operations. Having long-term relationships with clients, vendors, employees, and society largely exemplify the satisfaction our customers find in our staffing support services and solutions. We have cultivated our client and consultant relationships, working with some of the most talented candidates and leading companies in the nation. As a trusted company, we can meet the diverse needs of our growing client base, from Fortune 500 companies to small and medium size businesses. We actively recruit diverse talent candidates spanning the entire IT spectrum.